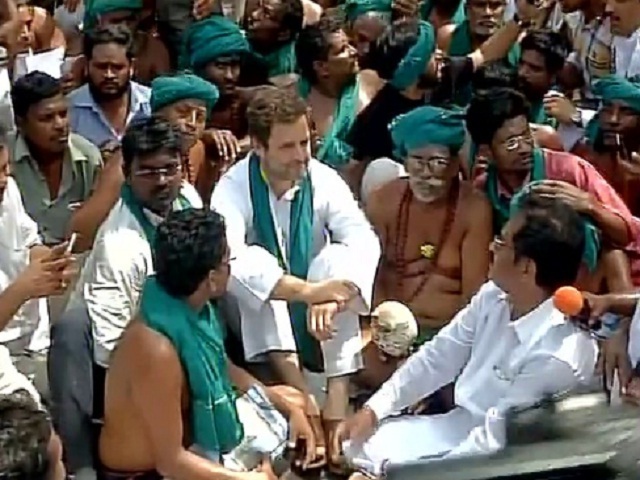 Congress Vice President Rahul Gandhi has joined Tamil Nadu Farmers in their protest in Jantar Mantar today. 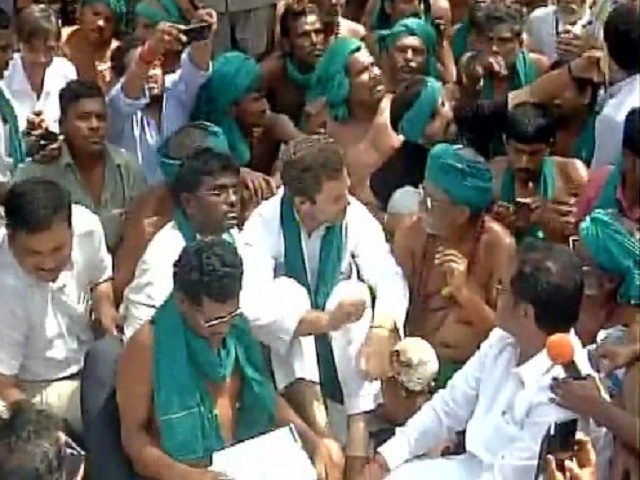 The farmers from Tamil Nadu have been protesting from past 17th days and on the Tamil Nadu farmers protest latest news is that on 18th day Rahul Gandhi have joined them to demand drought relief packages for them. Rahul Gandhi is sitting in between the farmers and talking to them about their concerns and problems. In a recent update, the farmers are narrating their stories to the media and Rahul Gandhi is listening them patiently.